Most popular Stagestep dance studio products for sale online including wall barre, tap boards, mats, Timestep flooring, and Proclean cleaning products. 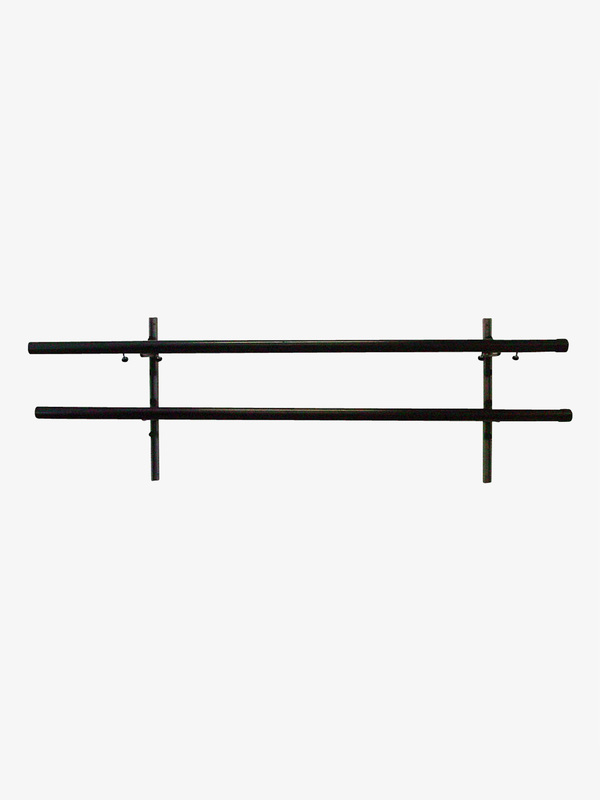 Stagestep Double 6 Ft. Wall Barre SS100: Wall-Mounted Adjustable Ballet Barre. Aircraft-grade aluminum with scratch-resistant, black acrylic coating for added comfort. Includes wall mounted unit and double barre. Continental USA Shipping Only. Stagestep Timestep T Mat 4' x 6.58' SS113: The lightweight touring floor. The same characteristics as Timestep except it weighs 25% less and costs 25% less. The perfect touring floor. Timestep T is thinner and lighter than Timestep so it is easier to transport. It also costs less. Life expectancy up to 10 years. Continental USA Shipping Only. Must be used on a hard, flat surface. It may break if used on carpet or any uneven surface. Size: 4' x 6.58' (06-inch thick). Stagestep Timestep Mat 8' x 6.58' SS112: The multi-purpose studio floor. The ultimate multi-purpose dance floor ideally suited for all movement activity including tap, clogging, ballet, modern, character, ballroom, jazz, and flamenco. Heavy duty portable and permanent flooring for stage, touring and studio. Can handle heavy scenery and props. 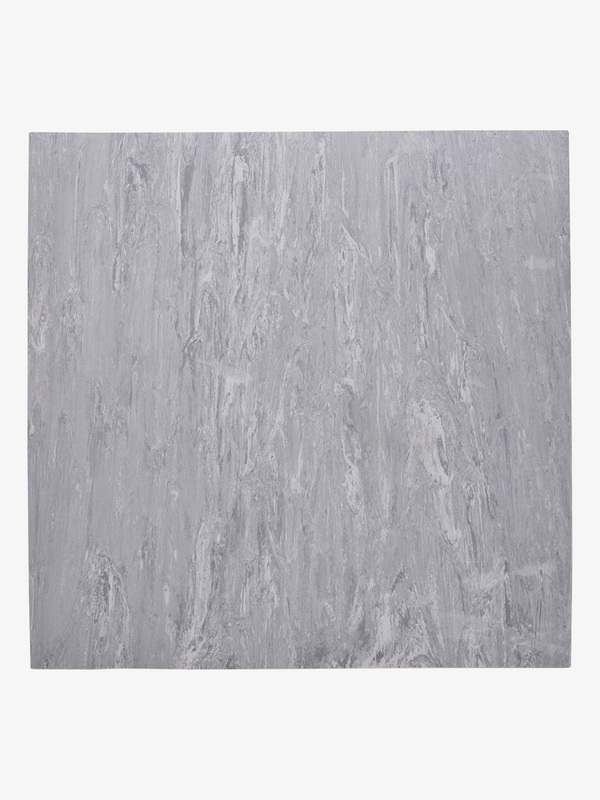 Surface can be treated for differing degrees of non-slip with our eco-friendly finish. 8' x 6.58' x.08-inch thick. No lamination, no factory finish. Life expectancy up to 12 years. Continental USA Shipping Only. Must be used on a hard, flat surface. It may break if used on carpet or any uneven surface. Stagestep Tap Mat Student SS110: The portable Tap Mat is a solid bamboo rollout slated floor with beveled edge and great sound for tap. The quick-growing, environmentally friendly bamboo is grown in cooler regions of the world where the climate freezes for about 2 months out of every year. This freezing causes the bamboo to stop sap production, which leads to slower growth of the bamboo producing much harder, denser, and more durable product. 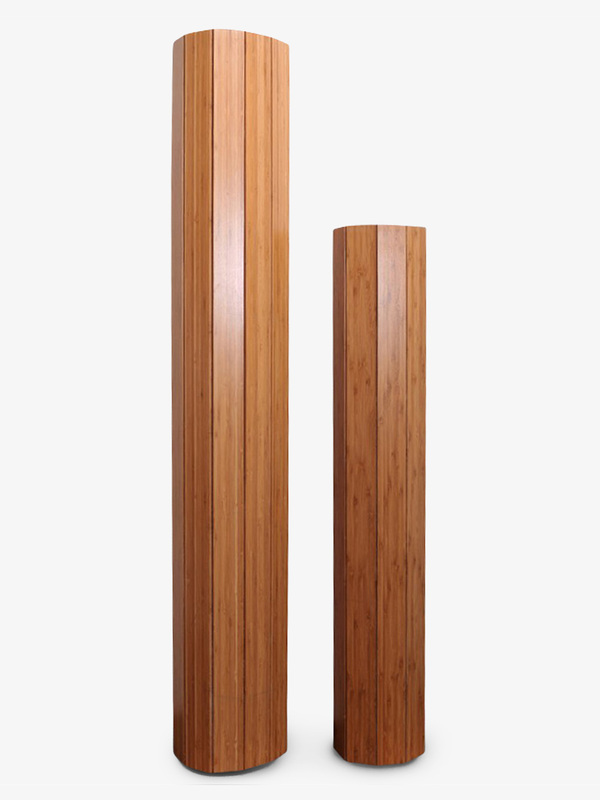 The bamboo is then naturally carbonized and kiln dried to prevent warping and cracking. This heavy-duty, long lasting floor is easy to maintain. Continental USA Shipping Only. Must be used on a hard, flat surface. It may break if used on carpet or any uneven surface. Size: 3.5' x 4'. Stagestep Tap n Tube SS111: The Problem: The eager dance student races home to practice and promptly ruins a wood or vinyl floor. 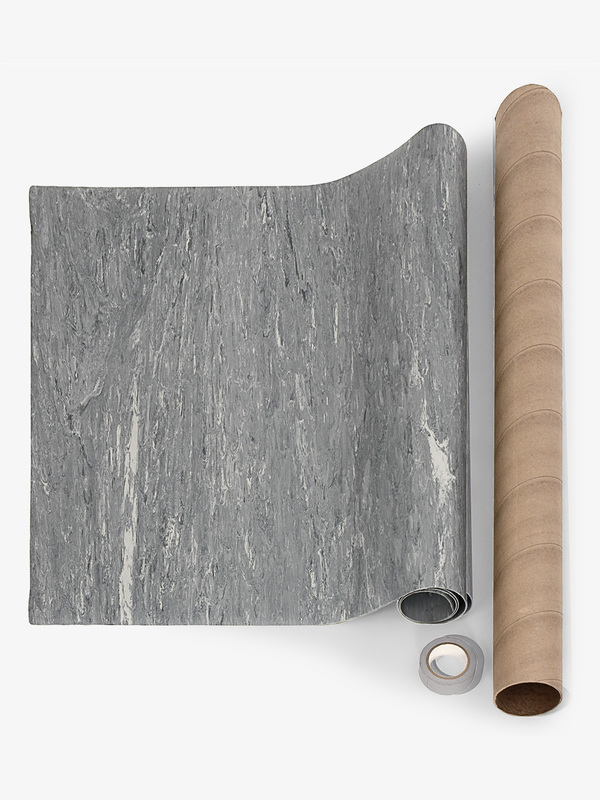 The Solution: A professional multi-purpose portable heavy duty Timestep practice floor in its own storage tube with a roll of tape. Everything you need to protect your floors at home. Just roll it out, tape the corners, and you are ready to practice. Timestep is guaranteed for seven years against wear, and it can handle any style of dance, including: tap, ballet, modern, jazz, ballroom, flamenco. Continental USA Shipping Only. Must be used on a hard, flat surface. It may break if used on carpet or any uneven surface. Size: 4' x 6.56'. Stagestep Proclean NS 1.32 Gallon SS118: Keep your floors clean, hygienic and non-slip with Proclean NS. This super-concentrate industrial strength floor cleaner with slip-resistance formula should be used on a regular basis (at least once a week) and it will not harm your floor or floor finish. Continental USA Shipping Only. 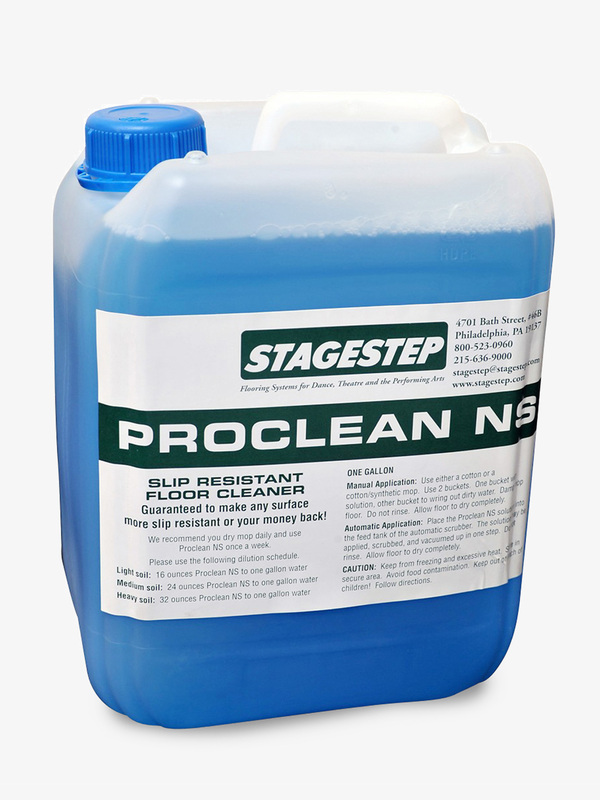 Stagestep Proclean NS 5 Gallon SS119: Keep your floors clean, hygienic and non-slip with Proclean NS. This super-concentrate industrial strength floor cleaner with slip-resistance formula should be used on a regular basis (at least once a week) and it will not harm your floor or floor finish. Continental USA Shipping Only. More Stagestep and other studio equipment products at Discount Dance Supply.